This Service really interactive your individual profile (it's really time consuming but rewarding). So 100% guaranteed your Profile will be safe. Don't put your account and reputation at risk with a lot fake Followers ! I will promote your Shazam profile through my networks so there's no violation of TOS for any party! Safe and real. - You can split 1000 Followers up to 2 profiles. - More than 100 orders can be handled at the same time. - Make sure you checked Service extra for a better deal. - Best Service for contests with many REAL winners! - Most orders complete within 4 - 48 hours. * About "Country target" from extra service : You can choose any country in the world! 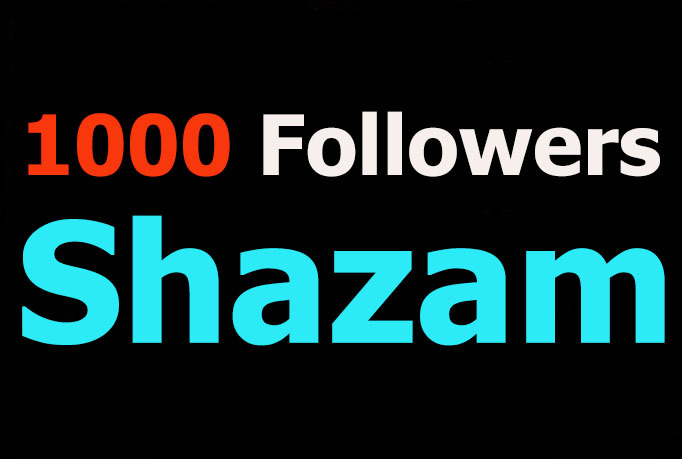 Add 1000 Followers to your Shazam profile is ranked 5 out of 5. Based on 16 user reviews.